About 10,000 employees; this complex is one of the largest chemical facilities in North Korea. The February 8th Vinalon Complex occupies the grounds of a former Japanese-owned factory that processed acetylene carbide to produce iso-octane for aviation fuel during World War II. Dr. Lee Sŭng Ki, a famous chemical engineer and the inventor of vinalon, supervised the construction of the February 8th Vinalon Complex, which began in 1959 and was completed in 1961. The facility was the first dedicated vinalon production plant in North Korea, and it was organized as a "complex" (聯合企業所) in 1974. 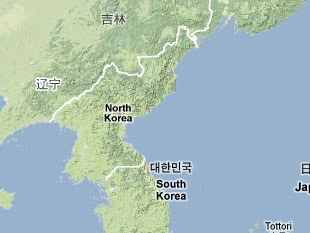 According to the Segye Ilbo, the 13th Nuclear Chemical Defense Battalion is posted here. There are no firm details about the types of chemical weapon agents that may be produced at this facility. Approximately 500,000-meter lot and 40,000-meter factory floor space; a total of about 50 large buildings; 10,000 tons of equipment and 50 kilometers of piping; 50,000-ton production capacity for vinalon and 10,000-ton production capacity for movilon (another synthetic fiber) per year. Various Korean media sources, in "Photographs of DPRK's February 8 Vinalon Complex, Alleged CW Site," FBIS Document ID: KPP20010522000228. Kim Yong-chun, Kook Pang Ilbo, 3 December 1999, p. 3, in "Has North Korea Chosen Chemical and Germ War Instead of Nuclear War?" FBIS Document ID: FTS19991212000879. Sŏn Chong Ku, "Puk Haekhwahakpang'wiguk: Haeksaenghwahangmugi Ch'ongjihwi," Segye Ilbo, 21 May 1997, p. 17, in KINDS, www.kinds.com. Lee Chae Sŭng, "Pukhan Kwahag'ŭi Isanggwa Hyŏnshil," Chapter Three in Pukhan'ŭl Umjiginŭn Technocrat (Seoul: Ilbit, August 1998), pp. 123-174, in "Chemical Engineering, Experts Described," 23 December 1999, FBIS Document ID: FTS19991223001168. "Kyeyŏlsaengsanch'eje Hyŏngsŏnghan Kong'ŏpdanji/Yŏnhapkiŏpso," Hankook Ilbo, 24 January 1994, p. 23, in KINDS,www.kinds.com. North Korea Information Bank, "2.8 Bi'nallon," Hyundai Research Institute, 2000, www.nk-infobank.com. This article provides an overview of North Korea's historical and current policies relating to nuclear, chemical, biological and missile proliferation.